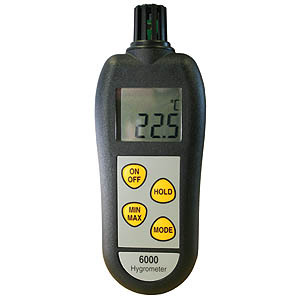 Easy to use relative humidity and air temperature measuring instrument. Measures %RH over the range of 0-100%RH with a resolution of 0.1%RH. Measures temperature over the range of -20 to +50°C with a resolution of 0.1°C or °F switchable. 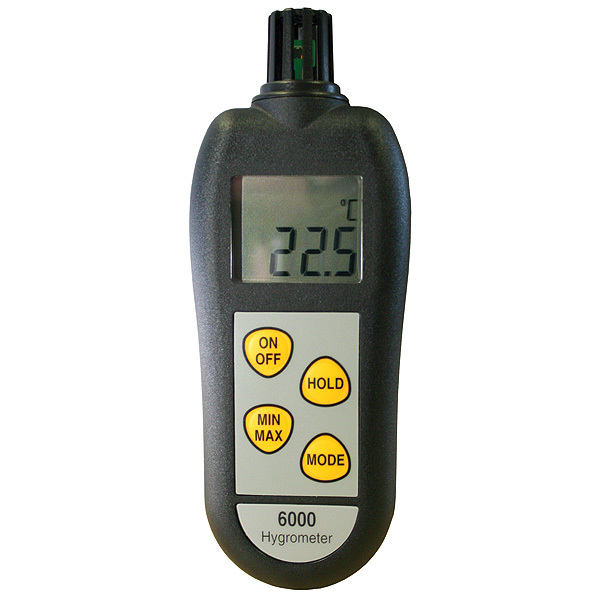 Incorporates a clear custom LCD with °C, %RH, max/min, hold and dew point indication. Powered by 3x AAA batteries with a life expectancy of 10,000 hours. Auto power off after ten minutes to conserve battery life.